Dieldrin is an organochloride pesticide used extensively across the USA by the agricultural industry until it was banned in 1974 due to its high toxicity and persistence in the environment. Dieldrin is often found in water, soil and animal fat samples taken from the surrounding areas on which it was used. 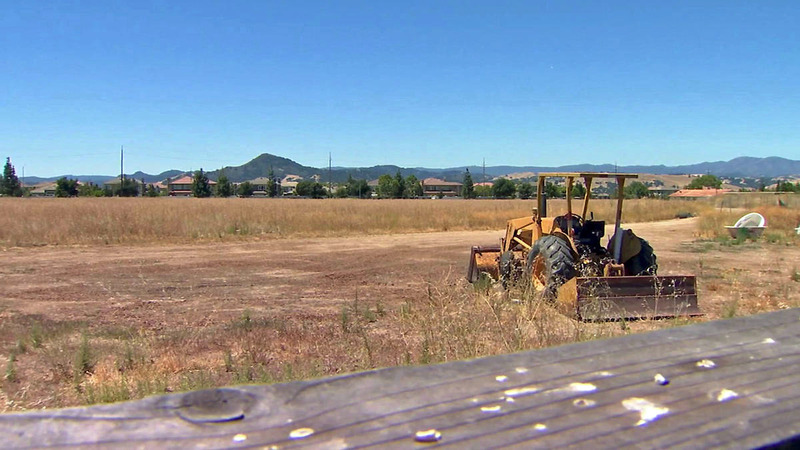 Today, this banned pesticide is found at high levels within the soil of a 9-acre site proposed for a new elementary school in Morgan Hill just south of San Jose in California. At a public meeting on August 18th, four of the seven-member board of Morgan Hill Unified School District approved a quick solution that involves digging up and removing contaminated dirt from the former orchard where this carcinogenic pesticide was used. The $1.6 million Removal Action Workplan was approved by Tom Arnett, Mary Patterson, Donna Ruebusch and Ron Woolf. Trustees David Gerard, Gino Borgioli and Teresa Murillo opposed the decision declaring it a “quick and dirty route” to fixing the problem. Why? Because the danger of this expensive cleanup method is that despite the high cost, it does not ensure contaminants are completely destroyed. Soil plays an important role in the distribution of persistent organic pollutants (POPs) which can be transported around the world in the atmosphere and deposited in soil at significant distances from their original source. In turn, soil can re-emit POPs into the atmosphere and be moved on again. Levels of contaminant vary depending on soil depth and whether soil has been moved or landscaped. A site may not necessarily have a uniform distribution of contaminants throughout its soils, so levels and risks vary from one area to the next. Based upon scientific research, the best methods for removing pollutants from soil are those closely mimicking nature's own process - time tested, natural systems that have historically restored environments back to their natural state following a contamination. These are the methods advocated by David Gerard, Gino Borgioli and Teresa Murillo. Of the technologies investigated by governments and industry worldwide, bioremediation has emerged as the favorite. The process provides a low-cost, on site low-technology solution by using living organisms to degrade the environmental contaminants into less toxic forms. The science is simple. Naturally occurring bacteria and fungi or plants in a contaminated environment breakdown and degrade a chemical by using it as an energy source to promote their own growth. It's a totally natural process commonly used to decrease the organic chemical waste content of ground water, soils, effluent from chemical plants and oily sludge from petroleum refineries. Prof. Shaily Mahendra, Environmental Engineer at UCLA explains it best in the following video. A good example of bioremediation is the clean-up of the Exxon Valdez oil spill (1989) in Alaska. The spill affected 350 miles of shoreline in Prince William Sound. Fertilizers were used to accelerate the removal of oil from the beaches and a single application of inorganic fertilizer was shown to speed up the disappearance of oil by a factor of two to three compared to the rate of disappearance of untreated sites. Samples of oil taken from the surfaces of treated beaches showed changes in composition consistent with extensive biodegradation. Research and the implementation of solutions that address waste issues are among the fastest growing activities in the world and an area in which Google has also shown increasing interest. As it should, because in future many Google employees working out of the planned San Jose Google Village will probably settle in Morgan Hill due to its friendly family environment and its wide selection of schools. But will they want their young children exposed to carcinogenic toxins that were missed in the cleanup? Will they want them playing on contaminated soil? Would you? For more details contact Mellan Songco the project manager at DTSC for Morgan Hill School district: mellan.songco@dtsc.ca.gov. To file an environmental complaint call 1-800-698-6942 or submit a complaint via this form: http://www.dtsc.ca.gov/database/CalEPA_Complaint/index.cfm. You can also write to P.O. Box 806, Sacramento, CA 95812-0806.